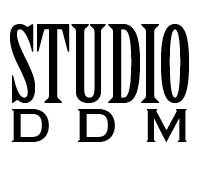 Candace Shaffer and Michael Potter founded Studio DDM, Design Does Matter, in 2006. The company emphasizes design for large scale housing developments, specializing in affordable housing communities. Designing for affordable housing has unique challenges. In the past, affordable housing usually meant uninspired, drab public housing. Developers are now looking to build aesthetically interesting multi-cultural communities by drawing on the strengths of experienced designers. Candace and Mike design spaces to accommodate a large number of diverse residents. The objective is to bring visual interest into a space and yet keep the space functional for its use. Public Spaces — entry lobbies, community rooms, multi-purpose rooms, after-school program rooms — benefit from Candace and Mike’s attention to lighting, furniture, placement, and interior colors. Private Spaces — service offices, management offices, the individual units — benefit from the lighting, flooring, and surface materials chosen by the Studio DDM team. Candace and Mike design to make large complexes visual knock-outs. They design to ensure that all spaces are as functional and practical as possible. Studio DDM designs to enhance the residents enjoyability of their property and the value of their property. Through design, every element of a housing community is improved.